I just can't resist a contest - I don't know why. 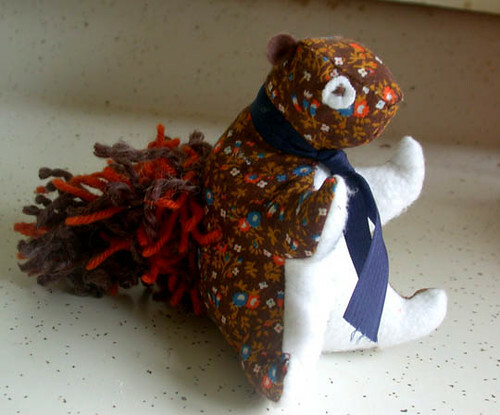 So when I saw the plush squirrel contest at Brooklyn General, via angry chicken, I just had to make one. It ends May 15th - so there's still a little time left! 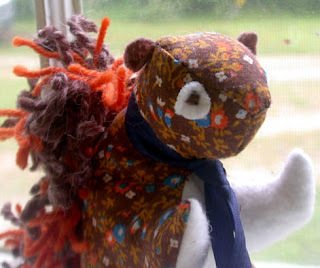 I put it together over the weekend, first intending it to be a patchwork squirrel. But, since it was last minute and everything, I didn't bother to make a prototype of the pattern. Needless to say, a pretty little patchwork block ended up in the junk pile. I had to make the squirrel three times before I got it right! It reminded me that figuring out a pattern is kind of like a puzzle, and it's a bit of fun I kind of take for granted. I always enjoy sharing these little victories with you, and I thought this would be a good one to share. The instructions are short, and I didn't make process pictures as usual - but I've got a tidy little pdf pattern made up to share (updated April 2011 - just for prettiness :). No rush, it's not going anywhere - you can download it here. And don't forget to share your squirrels in the wewilsons flickr pool! Aww, what a cutie! Thanks so much for sharing this little guy, I'll be linking. He's super cute and so generous of you to share squirrel pattern with us - thank you, look forward to trying to make him!! Thank you!! it's a lovely pattern!! Cute! I am so making one (or more!) of these for our baby's nursery! I'm so excited to find this our babies nursery is squirreled themed, and this guy is just too cute. I was looking at the pattern & I am just a new sewer & i can't figure out what RSF means. It's probably so obvious, and I will be surprised I couldn't figure it out. I figure it out sorry for the silly question. RSF right side facing. 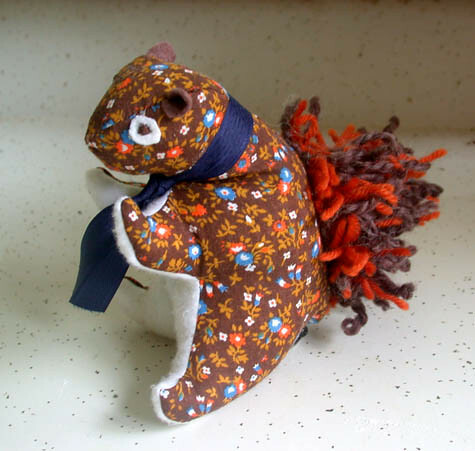 Just found your blog via Pinterest and I've been looking for a squirrel pattern to make for my baby girl and I LOVE this one! I think I'll be making one before I go to bed tonight :). Thank you so very much for sharing this pattern - I really, really appreciate it!